Though humankind has learned some lessons when it comes to hunting animals to extinction, livelihood pressures in many corners of the globe (and an unavoidable dose of greed in others) certainly haven’t allowed us to wipe that problem out. As we enter a new era — some even say a new human-caused geological age or Anthropocene — that is fraught with concern for the world’s species diversity to the point where many scientists suspect the world is entering a Sixth Mass Extinction, encouraging news is always welcome. 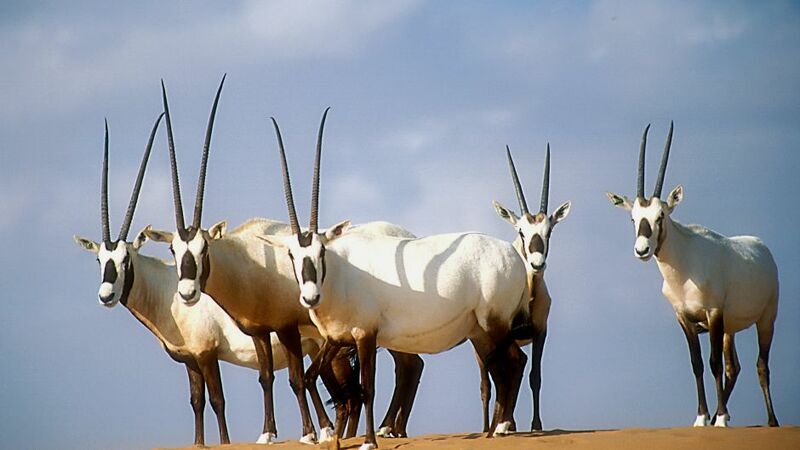 Case in point is the regal Arabian Oryx (Oryx leucoryx), once hunted to near extinction, that has been moved from the Endangered column to Vulnerable on the latest update of the IUCN Red List of Threatened Species™. It is believed the last wild individual of this species of antelope — found only on the Arabian Peninsula and known locally as Al Maha — was shot in 1972. According to the IUCN (International Union for Conservation of Nature), this makes the oryx the first species that was once listed as Extinct in the Wild to improve by three categories. Its wild population now stands at 1,000 individuals. “To have brought the Arabian Oryx back from the brink of extinction is a major feat and a true conservation success story, one which we hope will be repeated many times over for other threatened species,” says Ms. Razan Khalifa Al Mubarak, Director General of the Environment Agency-Abu Dhabi. Despite some successes, the IUCN also reports some alarming new findings, as it seems to every year. Of the 19 species of amphibian (frogs, toads and salamanders) added to this year’s List, eight come in as Critically Endangered, including Atelopus patazensis, a species of toad from Peru, and Dendrotriton chujorum, a dwarf salamander from Guatemala. Amphibians have been for several years one of the most threatened species groups, with an estimated 41% at risk of becoming extinct, harmed by threats such as habitat loss, pollution, disease and invasive species. Amphibians are among the Earth’s oldest organisms and have survived the last four mass extinctions, all of which occurred millions of years ago. Their current extinction rate is cause for alarm, according to biologists. “An ancient organism, which has survived past extinctions, is telling us that something is wrong right now,” says Vance T. Vredenburg, assistant professor of biology at San Francisco State University. 67% of species within the endemic reptiles of New Caledonia (an archipelago in Melanesia in the southwest Pacific) are at risk of extinction. 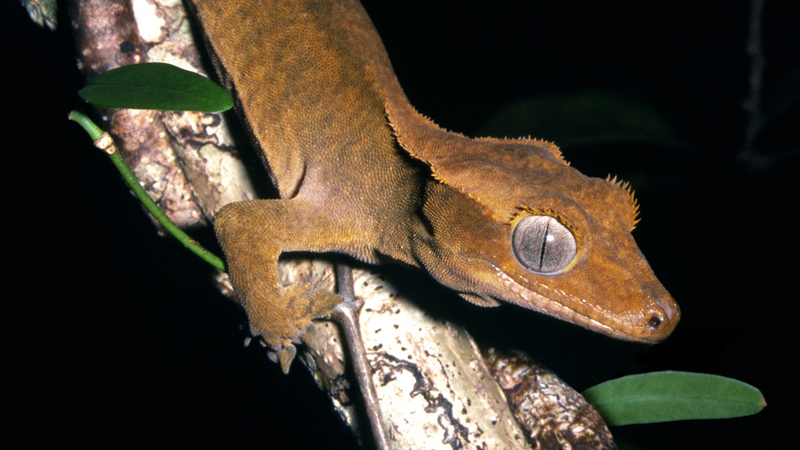 Another striking finding in this year’s List was that 67% of species within the endemic reptiles of New Caledonia (an archipelago in Melanesia in the southwest Pacific), assessed for the first time, are at risk of extinction. Many are threatened by ongoing habitat loss and fragmentation as the nickel mining industry there continues to develop. The reptiles are also suffering from the effects of introduced species like deer and pigs that damage remaining available habitats and fire ants (an invasive alien species) that decimate lizard populations, leading to localized extinctions. “The key to halting the extinction crisis is to target efforts towards eradicating the major threats faced by species and their environment; only then can their future be secured,” explains Simon Stuart, Chair of IUCN’s Species Survival Commission. And it’s just that sort of effort the IUCN Red List aims to support. The List offers decision makers a “goldmine of information not only on the current status of the species, but also on existing threats and the conservation actions required,” Stuart says. Nonetheless, IUCN works with several specialized partners (BirdLife International, Botanic Gardens Conservation International, Conservation International, NatureServe, Kew Royal Botanic Gardens, Sapienza University of Rome, Texas A&M University, Wildscreen, and the Zoological Society of London) to gather ever more data. And indeed, the List is not just a register of names tallied beneath threat categories. Rather it is a rich compendium of information on the menaces to different species, their ecological requirements, where they live, and information on conservation actions that can be used to reduce or prevent extinctions. However, unfortunately there is another category, Data Deficient, signifying that not enough information is known to assign them to a category. 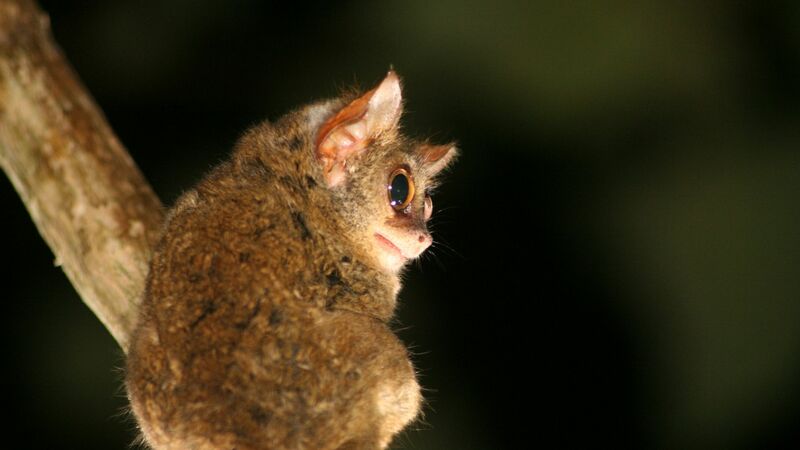 Amongst the year’s new additions to the IUCN Red List is the recently discovered primate Wallace’s Tarsier (Tarsius wallacei). Unlike its cousin the Siau Island Tarsier (Tarsius tumpara), also new on the List this year and classified as Critically Endangered, Wallace’s Tarsier has been listed as Data Deficient. This forest-dweller, was first described in 2010 and is found in just two small areas of Central Sulawesi, Indonesia. Similarly, an assessment of all 248 lobster species has been completed, with 35% being classified as Data Deficient, including the Caribbean Spiny Lobster (Panulirus argus). This species shows decreasing populations as a result of over-exploitation, but very little else is known about it. IUCN estimates that 1.2 billion people worldwide rely on marine species for food and livelihoods, so obviously reliable information on catch levels is essential. “It is extremely important that we keep pushing forward with surveys of little-known species, as without adequate data, we cannot determine their risk of extinction and therefore cannot develop or implement effective conservation actions which could prevent the species from disappearing altogether,” says Jane Smart, Director, IUCN’s Global Species Programme. Biodiversity loss is one of the world’s most concerning crises, with record levels of species declining to critically low levels. Numerous extinctions are taking place unnoticed, says IUCN, and the number of species classified as Critically Endangered (those most at risk of becoming extinct) is increasing. Estimates from the IUCN Red List indicate that extinctions are happening at anywhere from 100 to 1,000 times the ‘background’ or natural rate. The many causes include habitat destruction, land conversion for agriculture and development, climate change, pollution, illegal wildlife trade, and the spread of invasive species. Certainly release of the year’s Red List is always a good time for each of us to rethink and readjust what we as individuals are doing to mitigate the rate at which we are collectively perpetrating or exacerbating those causes. “While the outlook for many species is still alarming, the improvement in status of some species on the IUCN Red List is real testament to the valuable impact conservation work can have,” insists Richard Edwards, Chief Executive of Wildscreen, an organisation working with IUCN to raise public awareness of the threatened species through the emotive power of wildlife films and photos. Code Red: List of Threatened Species Updated by Carol Smith is licensed under a Creative Commons Attribution-NonCommercial-ShareAlike 3.0 Unported License. These noted status improvements are cause for hope and proof that conscious, concerted effort yields tangible and much-needed benefits.